We always say it, “Diamonds are a girl’s best friend,” but do you know where that phrase came from? Marilyn Monroe coined the term in the movie, “Gentlemen Prefer Blondes.” We don’t give movies enough credit for the major bling inspiration that they constantly give. Although we may not have real diamond, our SWAROVSKI ZIRCONIA stones surely sparkle. This week, we are going to be giving you a major dose of glamour and glitz from our favorite movies! Why, do you ask? These movies have represented amazing jewelry trends and statements since the 1930s! It is remarkable to take a look at the beautiful baubles throughout film history. This artsy film gives us a glimpse at French royalty before the revolution, and all the lovely glamour that goes with it! We always try to capture this effortless glamour across our social media. Any Audrey Hepburn film is iconic, but this one surely adds some sparkle into our lives. 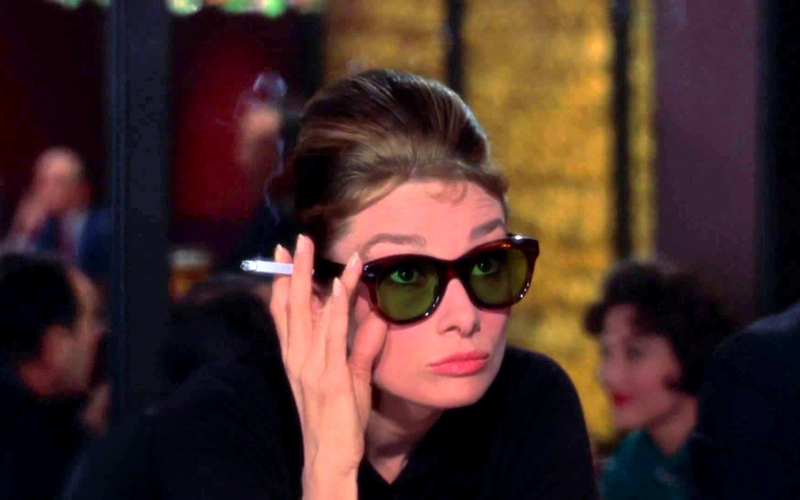 Holly Golightly wears many layers of costume jewelry that is just stunning! "How to Lose a Guy in Ten Days"
If you haven’t seen this rom com, run don’t walk! “Frost yourselves” was the tagline of a campaign for a jewelry brand, and towards the end of the film, Kate Hudson’s character wears a huge canary diamond lights up the screen! That’s right, this musical is a beautiful production and even more beautiful because of the wardrobe and accessories! Nicole Kidman is an amazing actress, but you have to agree, this film’s jewelry was everything while she was singing her heart out! Do you think you’ve seen better jewelry on the big screen? Email us@wrapring for your thoughts on other iconic films!